What Is a PDM System? Education / What Is a PDM System? Summary: Product data management systems, or PDM systems, are software that companies use to organize their CAD data. They keep files centralized, make them accessible across the value chain, and keep version control and edits organized over time. They’re a really, really good idea. Product Data Management, or a PDM system, is yet another acronymic member of the enterprise tech stack. But what is PDM? Why do organizations need a tool to manage their product data, and why should their part with their hard-earned cash to get one? Today, we’re going to look into what a PDM system is, how SMEs can use it, and how it helps connect the value chain. PDM stands for Product Data Management. It’s a category of software that’s designed to manage product and process data as it moves through the product lifecycle. PDMs usually centralize product data, in a single “vault” including CAD, unique parts numbering systems, manufacturing instructions. PDMs also manage version control and allow data (say, a CAD file) to be “checked out”, edited, and checked back in. Basically, it’s a way to manage CAD files. A CAD assembly of, say, a motherboard or a car engine, is made up of thousands of parts arranged in sub-assemblies. And easy part is a single computer file. It’s as if you were writing a document in MS Word, where every letter was a separate file. … Each individual file (or part) needs to be stored and tracked. That’s where a PDM comes in. PDMs do two things well. First, they create centralized databases of all the CAD files used in a project. You don’t need to use clunky VPNs. Second, PDMs are good for version control. With so many files used to build a complex assembly, it’s extraordinarily easy for things to get out of whack, especially when you’re working with engineering teams in different locations. PDMs usually use a check-in/check-out file system. Every file gets “checked out” when it’s being edited. When it’s being edited (e.g. is checked out) no one else can edit that file. 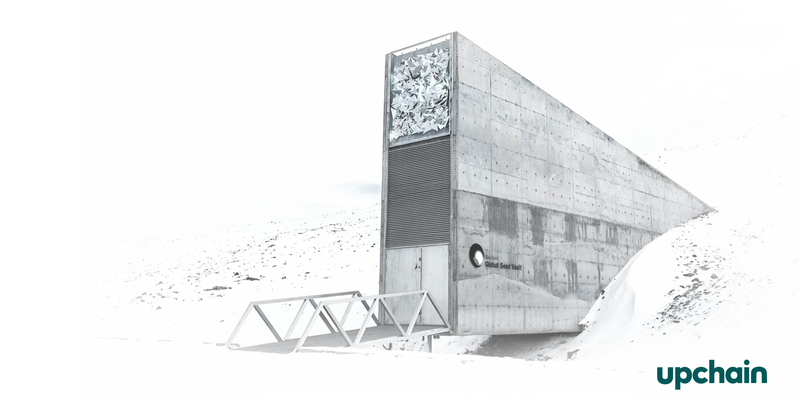 When it’s done being edited, it gets checked back into the vault for someone else to change. Every change is tracked, and because the version control is simplified, it’s easy to go back to a previous version. Why bother with a PDM system? Enegineering.com tried to get to the bottom of this question recently with a survey of 151 product designers. Here’s what they found. Every day, product designers waste time trying to find the right file. And as team size increases, this burden increases too. 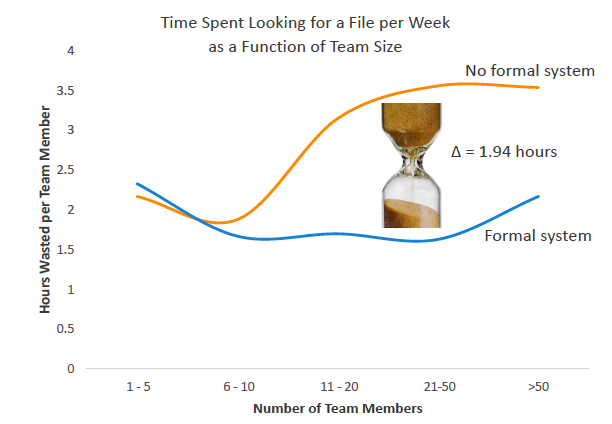 Teams 50+ spend around ~3.5 hours if they don’t have a PDM compared to ~2 hours if they do have formal systems in place. It means that a PDM makes teams significantly more efficient, especially as teams grow. Given that engineers cost on average $80 p/hour, even a small time saving with a PDM can pay serious dividends. Poor file management results in files being used incorrectly, reworked, or lost. Since complex manufactured products regularly require the same file to be copied and used elsewhere (e.g. a CAD file of a simple steel screw will be used multiple times) it’s a perfect storm for file confusion. The result is that PDM alternatives like shared drives or (often) no system at all are ill-equipped to handle the demands placed on them, and parts end up used incorrectly, copied and revised, or, at least 2.2 hours every week, recreated from scratch because a designer can’t find the right thing. Controlling revision of those files across versions. Poor or inaccurate external data sharing with is another strong thread when it comes to PDM. The Engineering.com survey found that 71% of respondents said this was “very important” to them. And yet those without PDMs continually fail to achieve efficiencies in this regard. 57% said that they were terrible at bringing new users up to date to access product data and around 50% said they were terrible at giving access to procurement teams, accessing data from another company, or securing product data that moves outside their four walls. Basically, the teams engineering.com talked to fail to share data outside engineering, either internally or externally. Files are accessible only when they’re not being worked on. We think that a PDM system is a good idea (and, to be fair, we actually make a PLM/PDM solution). But the numbers don’t lie: when organizations use a PDM system, their staff are more efficient, their data is easier to share, and version controlling files are easier to track and manage. And as products become more sophisticated and supply chains get more intricate, the ability to manage complex product data effectively gets more and more important.